These 50mm diameters, sanding discs extend the scope of the Arbortech Contour Sander, Arbortech Mini TURBO Plane Kit and the Mini Carver. They are heavy-duty to withstand harsh conditions when power sanding. The cloth-backed abrasive, unaffected by heat generated during power sanding, has an exceptionally long life. 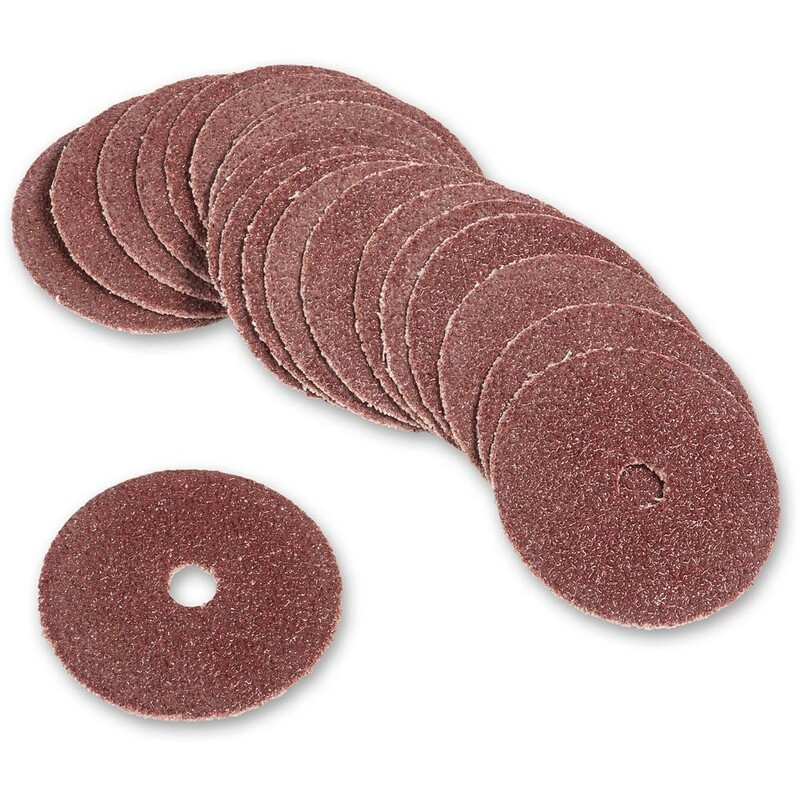 Supplied in packs of 20 discs of a single grit, ranging from very coarse 40 grit to extra fine 320 grit. Alternatively, there is a mixed pack containing 3 of each grit giving 21 discs in total.